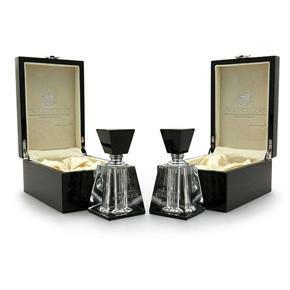 Kamikaze Collection is an innovative range of high-end boutique car care products combining state-of-the-art technology with traditional know how. Detail Your Eyecandy are East Anglia’s only Kamikaze Collection Certified Detailer. Kamikaze Collection is a revolutionary range of high-end boutique car care products designed and manufactured in Japan, the home of ceramic coatings. Combining state-of-the-art technology with traditional know-how it prides itself on delivering truly innovative and unique products without the typically associated hype. Please take a look at the amazing range of coatings and paint film. Kamikaze Collection ENREI COAT is the latest innovative coating from Kamikaze Collection and is only available to Kamikaze Collection certified detailers such as Detail Your Eyecandy. ENREI is a unique formula consisting of two layers which when combined form the ultimate in protection of your vehicle’s paintwork. The initial layer acts as a primer, penetrating the microscopic pores in the paint’s lacquer to form a secure bond whilst presenting an increased surface area for the topcoat to bond to. The second layer provides an extremely tough, resistant hydrophobic barrier that repels dirt, salt, water and oils. The unique formulation prevents the issues many ceramic sealants experience with water spotting. ENREI is resistant to extremes of pH, making it the ideal solution to the unique conditions presented by winter and summer driving. As an added bonus ENREI enhances the finish of the paintwork considerably, leaving an outstanding wet look shine. ISM PRO combines Kamikaze Collection’s ultra-low molecular weight hydrocarbon ingredients with German sourced elements to provide a coating with extreme water repelling properties and an outstanding candy gloss shine. ISM PRO also delivers a high level of hydrophobicity, which encourages dirt and water to slide off the surface. This will make maintenance very easy. 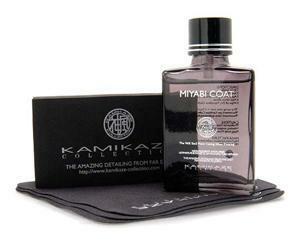 ISM PRO can be used as a stand-alone coat or a top coat to MIYABI COAT. Containing 53.7% high grade Carnauba Wax, and 43.7% of Japanese glass ceramic coating, Kamikaze Collection INFINITY WAX combines the best of both worlds, the amazing gloss and slickness of a wax, with the durability of ceramic coating. As a result the application and curing process works very differently to any other hybrid wax coating. 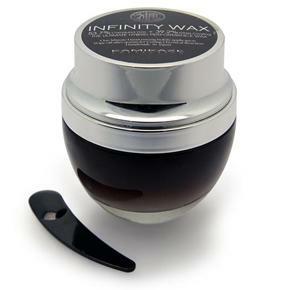 INFINITY WAX must be stirred thoroughly for an accurate amount of time to activate the ceramic coating additive before being applied to the paintwork. The curing process takes around 90 minutes. This allows enough time for this specialist hybrid coating to fully bond with the paintwork. COne of their newly developed coatings, STANCE RIM COAT has been designed specifically for alloy wheels, offering heat resistant, water repelling protection from road salts, dirt and grime and also inhibits the build-up of brake dust. Treated surfaces are easier to maintain and do not require harsh wash chemicals, helping to preserve the coating and the integrity of the wheel surface for longer.